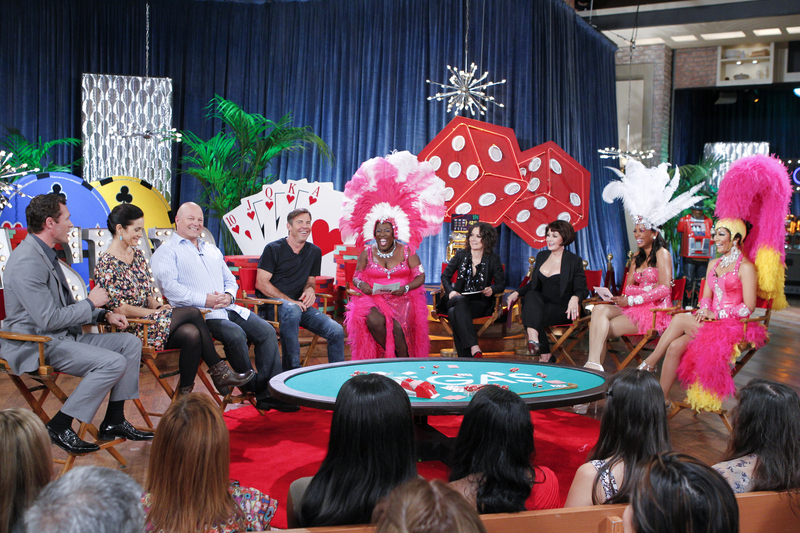 The cast of CBS’s new primetime drama “Vegas” visit THE TALK! Actors Dennis Quaid, Michael Chiklis, Carrie-Anne Moss, Jason O’Mara, Taylor Handley and Sarah Jones give the inside scoop on the new show, Tuesday, October 2, 2012. Sheryl Underwood, from left, Sara Gilbert, Michael Chiklis, Dennis Quaid, Sharon Osbourne, Aisha Tyler and Julie Chen, shown. Photo: Cliff Lipson/CBS ©2012 CBS Broadcasting, Inc. All Rights Reserved.